A Sweet Killer: Is Fructose in processed foods secretly plotting your demise? Processed food, also known as Convenience food is the most talked about topic amongst health experts. It is commercially prepared food for our convenience. Ready-to eat frozen foods, soft drinks, fruit juices, sports drinks, packaged foods, breads and cheese spreads are a few examples of how such foods have become part of our day-to-day life. However, processed foods are active culprits for causing obesity, diabetes, kidney failure, fatty liver and high blood pressure. 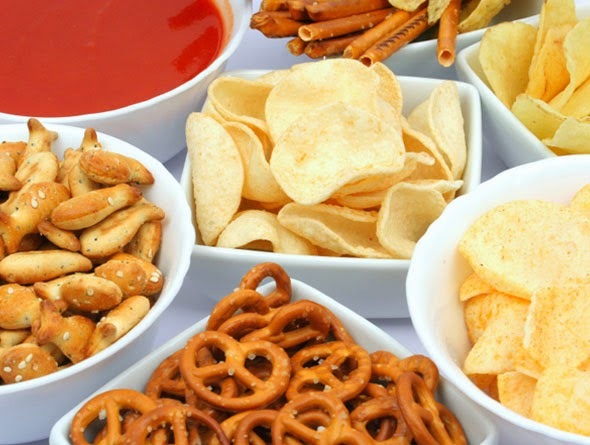 Determining the composition of processed foods helps to get a better understanding of its harmful long-term effects on health and why they are best avoided (or consume with caution). Processed foods are highly laden with sugars in all its myriad of forms ( including high-fructose corn syrup, honey, maple syrup, etc). However, fructose is the deadliest form of sugar in comparison to glucose and sucrose. Fructose is a simple sugar that is readily available in diets, in the form of free monosaccharide (hexose), as a disaccharide ( sucrose) and as a polysaccharide (fructan). Also, it is far more sweeter than glucose or sucrose. Fructose is widely used as a sweetener and for maintaining the stability and freezing point depression of many processed foods. Fructose is naturally present in honey, fruits, table sugar and corn syrup. There is a massive increase in consumption of these sweeteners worldwide, which has dramatically increased the intake of fructose all the more. To further make it worse, processed food is devoid of the healthy fiber- content, thus bringing it down on the nutritive value. In the early 1970’s, food manufacturers noticed that it was far cheaper to use corn syrup as a sweetener rather than sucrose. However, they did not realize that high fructose corn syrup( HFCS) is metabolically more risky than sucrose due to its chemical form. Unlike table sugar, fructose in corn syrup gets easily absorbed by liver because it is not bound together with glucose. Studies in animals have shown that fructose can induce most features of the metabolic syndrome, including insulin resistance, elevated triglycerides, abdominal obesity, elevated blood pressure, inflammation, oxidative stress, endothelial dysfunction, kidney injury, and fatty liver. HFCS is used extensively in many items including soft-drinks, lemonades, cookies, jam, jellies and baked goods worldwide. This high intake of HFCS has led to epidemic of obesity as well as its cardio-metabolic complications (decreased HDL, increased LDL, elevated triglycerides, elevated blood sugar and high blood pressure). 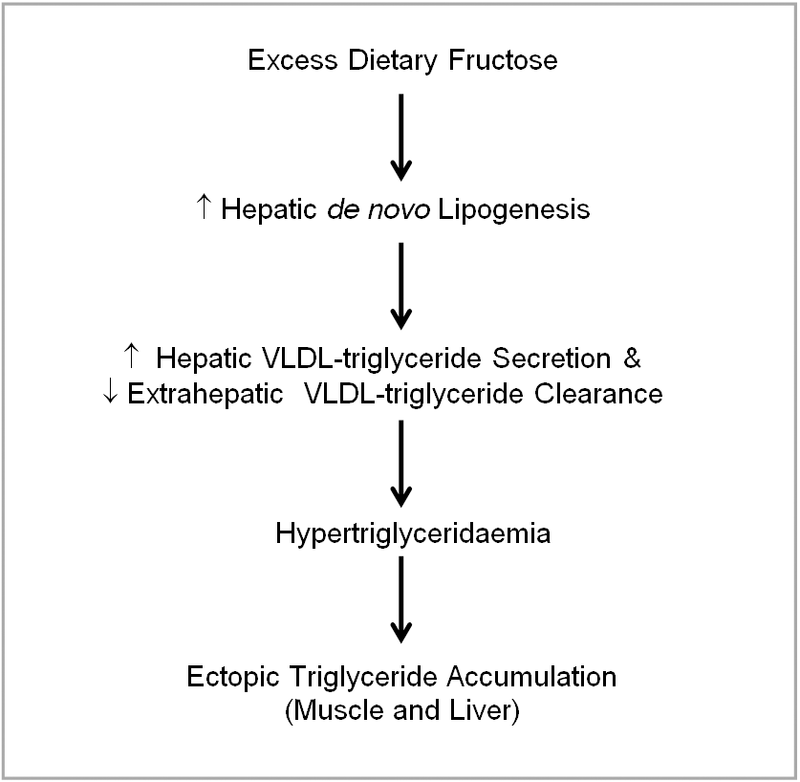 Experiments shows that continuous high intake of fructose results in increased lipid deposition in liver and muscles. Uric acid is produced when fructose is metabolized in liver, which in turn, utilizes nitric oxide. Nitric oxide plays a pivotal role in vascular function. Because of the decreased levels of nitric oxide, smooth muscle cells start contracting resulting in high blood pressure and potentially damaging the kidneys. Pancreatic tumor cells, if fed by both glucose and fructose consume more fructose to proliferate and divide (Cancer Research, 2010). Increased use of high-fructose corn syrup (through various processed foods) for a long time-span enhances susceptibility towards cancer. Diets rich in fructose suppresses insulin stimulation which, in turn, excites the hunger hormone (ghrelin) and inhibits the satiety hormone (leptin). This leads to binge eating and insulin resistance, finally developing into diabetes.